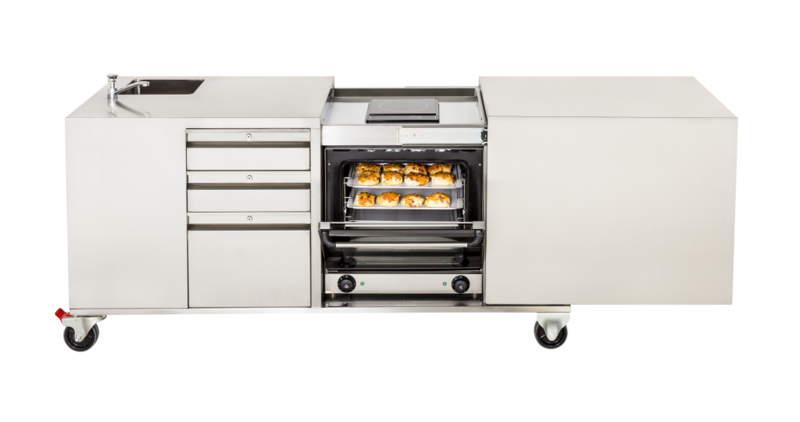 The Kitchen Kart comes complete with oven, stovetop and even a kitchen sink. 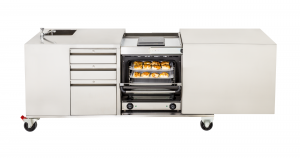 Equipped with all the cooking tools and equipment to run lessons, The Kitchen Kart makes it easy for teachers to deliver cooking classes in a hall, covered area, class or staff room – or even wheeled out to cook near the school garden. The Kitchen Kart is truly portable, meaning it can be used anywhere in the school. With no high infrastructure costs like plumbing, hard wiring or venting, our mobile kitchen has been designed with schools in mind. It comes with a protective cover to protect your asset, along with a 1 year manufacturers warranty. 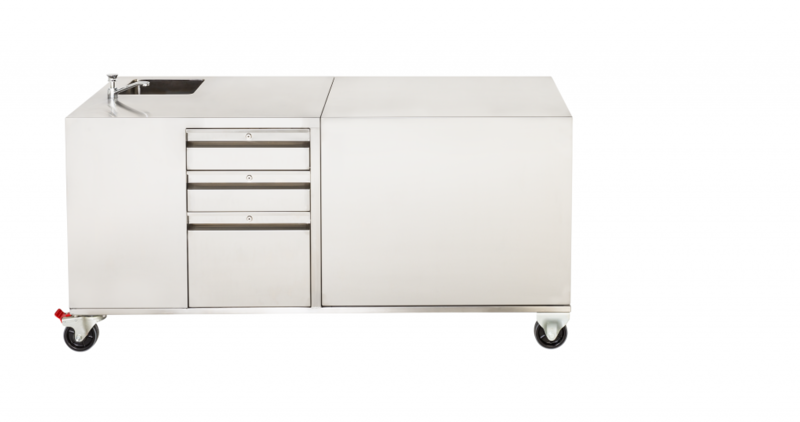 Made in Australia using commercial grade stainless steel, The Kitchen Kart has been tried and tested by Australian primary schools. The Kitchen Kart in Action! 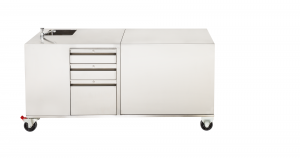 Sturdy, lockable castor wheels for easy maneuverability and safety – you can run a cooking class anywhere in your school! 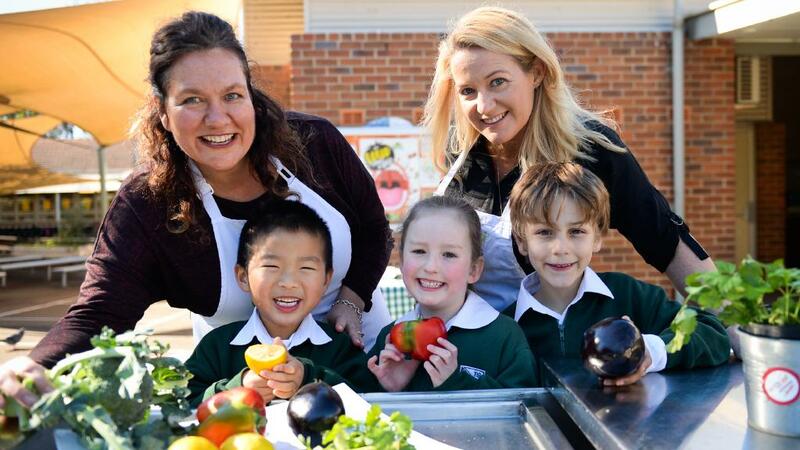 Enquire how to Get Kids Cooking at your school!